13:29 | Lima, Feb. 7. 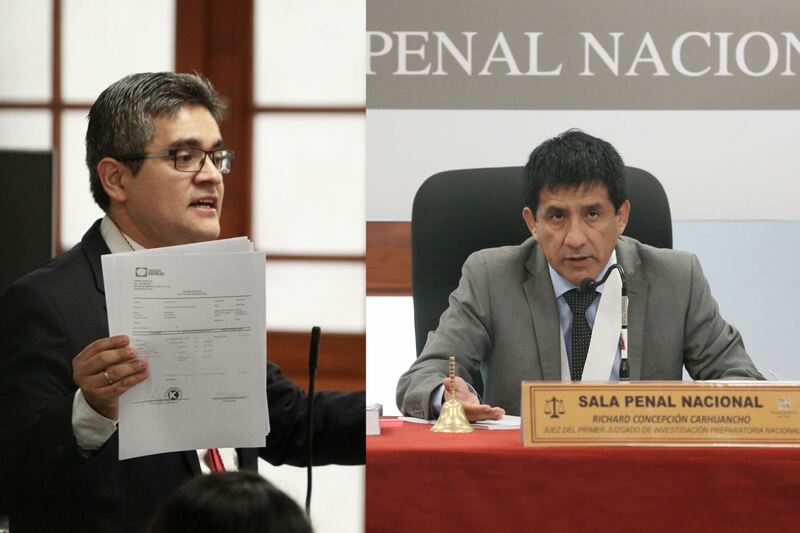 Peru's Second Supreme Prosecutor's Office for Corruption Crimes Committed by Public Officials opened a preliminary investigation against Prosecutor Jose Domingo Perez and Judge Richard Concepcion Carhuancho for allegedly having committed abuse of authority. According to the resolution, the deadline for completion of the investigation shall not exceed 120 days. Likewise, it indicates the alleged perpetration of misuse of power —by both magistrates— is provided in article 376 of the Criminal Code. In this sense, Perez Gomez and Concepcion Carhuancho have been given five working days to submit a discharge report regarding the perpetration of said offense. Furthermore, the resolution states the criminal complaint filed by former Attorney General Pedro Chavarry against Prosecutor Perez has been rejected. The complaint against Judge Concepcion Carhuancho has also been denied. As is known, Prosecutor Jose Domingo Perez is part of the Lava Jato Case Special Team. He is the one who requested preventive detention for Fuerza Popular party leader Keiko Fujimori. His request was approved by the Judicial Branch. On the other hand, Concepcion Carhuancho has become very popular as he ordered preventive detentions against former Presidents Alejandro Toledo (2001-2006), Ollanta Humala (2011-2016), and candidate Keiko Fujimori —all of them involved in the Odebrecht case. Wanted by Peruvian justice, Toledo is residing in the U.S. Therefore, the Peruvian Government is closely following up on the corresponding extradition process. Humala and wife Nadine Heredia served nine months in preventive detention thru April 2018.